by Brianna Crandall — January 18, 2019 — The prestigious Good Design Award winners were announced last month, celebrating the latest, most advanced products and designs for their innovation and invention from a global pool ranging from well-established manufacturers and corporations to the latest emerging start-up companies. Winners include several FM-related companies listed below. Touted as the oldest and most recognized design awards program, Good Design covers new consumer products, graphics, and packaging designed and manufactured in Europe, Asia, Africa, and North and South America. Entries for design and innovation, sustainability, creativity, branding, ecologically responsible design, human factors, materials, technology, graphic arts, packaging, and universal design are submitted annually by various industrial design and graphic design firms working for the FORTUNE 500 companies. For 2018, over 900 new products and graphic designs were selected from over 47 countries for new electronics, transportation, medical equipment, protective equipment, energy systems, robotics and bionics, building products/materials, furniture, textiles, industrial, environments, hardware, bath and accessories, kitchen/appliances, floor and wallcovering, tabletop, household products, personal, office products, transportation, children’s products, sports and recreation, lighting, tools, and graphics, branding, and packaging from Europe, Asia, and the Americas. Awarded corporations represent some of the world’s most visionary FORTUNE 500 and private companies. Among the companies with products of interest to facilities managers (FMs) are: Allsteel, ASSA ABLOY, Fellowes, Formica Corporation, Honeywell International, Kohler, Legrand, Steelcase, Teknion Corporation and Tennant Company. 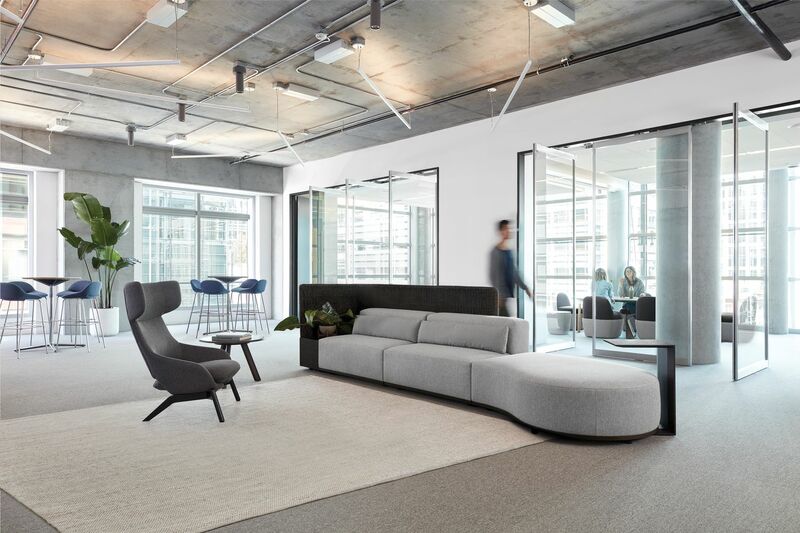 In particular, four new Teknion workplace products — Zones Modular Seating, Banqs seating collection, Swerv Monitor Arm, and tn Storage & Accessories — won awards this year. 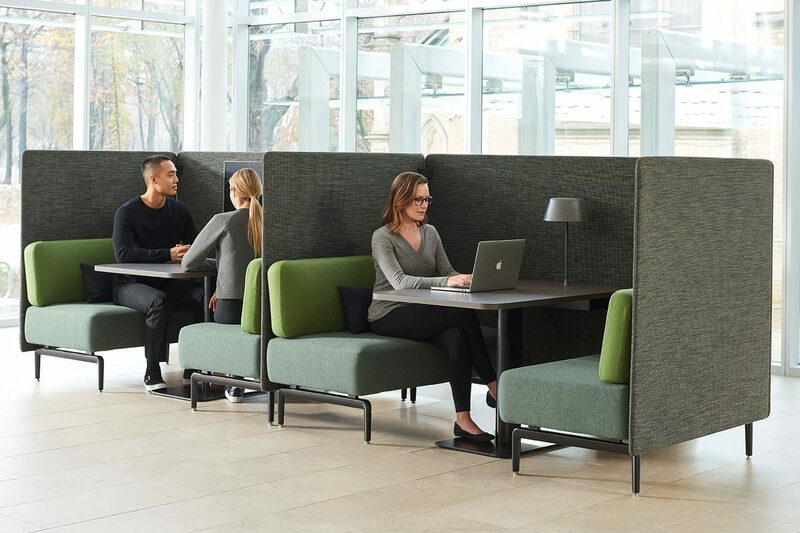 In addition, two of Studio TK’s latest furniture designs for social spaces — the Borough Collection of Modular Lounge Seating, Tables and Screens by Christophe Pillet, and the Cesto Seating and Table Elements Collection by Khodi Feiz — earned awards. For more FM-specific information on Teknion’s product offerings, see the company’s FMLink page. Hundreds of visionary architects, designers and industrial design firms were also honored. Good Design is organized annually by The Chicago Athenaeum Museum of Architecture and Design in cooperation with the European Centre for Architecture, Art, Design and Urban Studies to honor and recognize the best design talent and the best manufacturing worldwide. Hundreds of thousands of leading winning manufacturers and companies print the Good Design logo for awarded products on their packaging, marketing information, advertising, websites, corporate information, posters, billboards, and branding to the widest international consumer audience. The 2018 Good Design Jury was held in New York and Los Angeles. The criteria for selection follow the original 1950’s program and include, for instance, the innovation or the functional impact or even the ecological impact of each product selected. Photos and descriptions of winning products and graphics for 2018 can be viewed on the Good Design Awards website. All products and graphics are also published in the Good Design Yearbook for 2018-2019, which is available through Metropolitan Arts Press Ltd.